The last black-owned bank in Chicago is changing its name to reflect its owner's global ties in an effort build trust in its future. 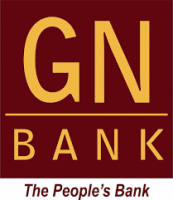 Illinois Service Federal Savings and Loan in Bronzeville, known as ISF Bank, will become GN (Groupe Nduom) Bank, taking on the name of a separate, international banking company owned by its chairman, Papa Kweisi Nduom. Nduom grew up in Milwaukee but was for years a government minister and Member of Parliament in Ghana. GN has about 300 branches worldwide, according to the company.